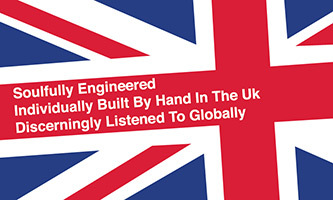 All our products are manufactured using a mix of modern manufacturing techniques and traditional hand assembly and testing. We try to keep everything in stock where ever possible, however from time to time they do fall in to longer lead times between production batches. At these moments, we hope they are still well worth the wait! 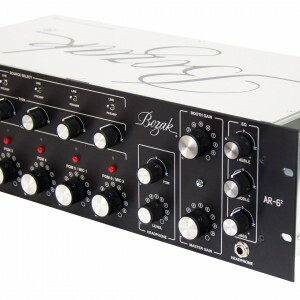 The Bozak AR-6 is a classic rotary mixer with its heritage taken from the pioneering mixers of the 70’s. 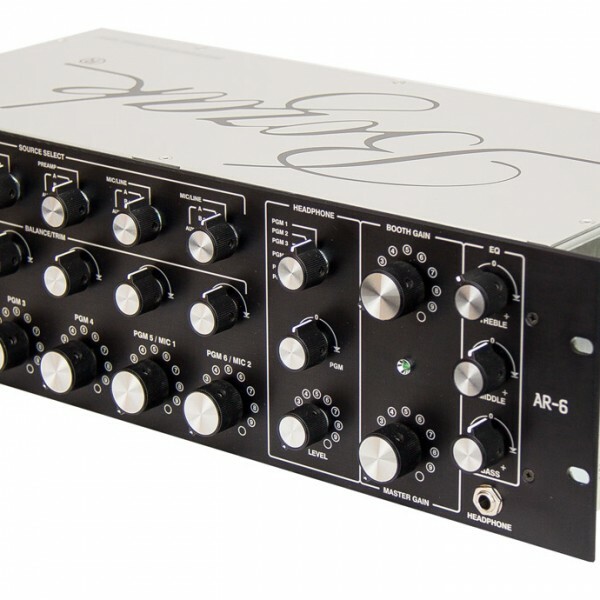 Updated to give the flexibility to today’s DJ requirements, the AR-6 has been designed first and foremost for unsurpassed sound and build quality. 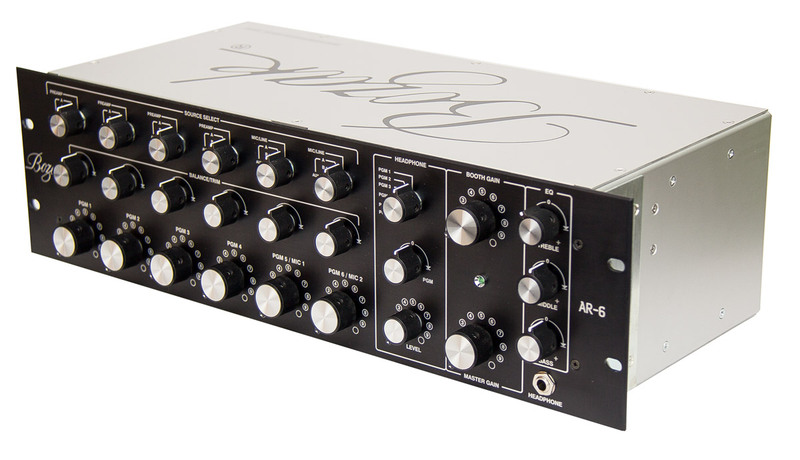 The AR-6 feature set, has been designed in conjunction with some of the true legendary DJ’s who have served their apprenticeship on the original rotary mixers and who are now regarded as the true masters of their craft. 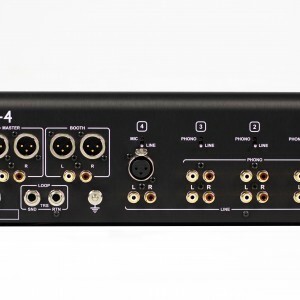 The mixer offers the most flexible routing, six direct phono, line or mic inputs and five auxiliary line inputs on a user selectable matrix with a balance control for each input, the AR-6 has more than enough input options. 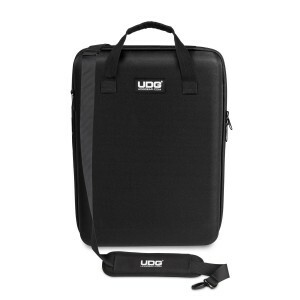 The flexible headphone section gives the DJ flexible control over the cue and mix. The clear warm and loud headphone output with a mix control that allows the DJ to pan between the Cue or Program output or a mix anywhere between. The Headphone jack is backlit to allow you to find the socket in the dark DJ booth. 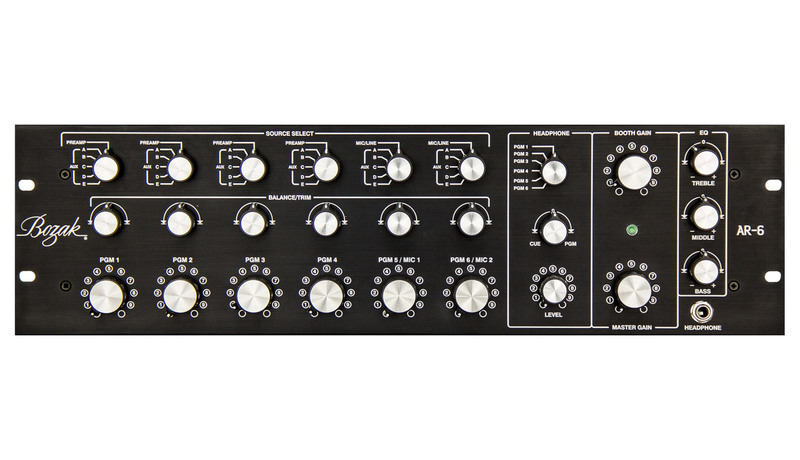 Dedicated Master and Booth gain controls gives you total control over the mix with flexible stereo balanced or unbalanced options as well as post fade tape output and dedicated mono master output. 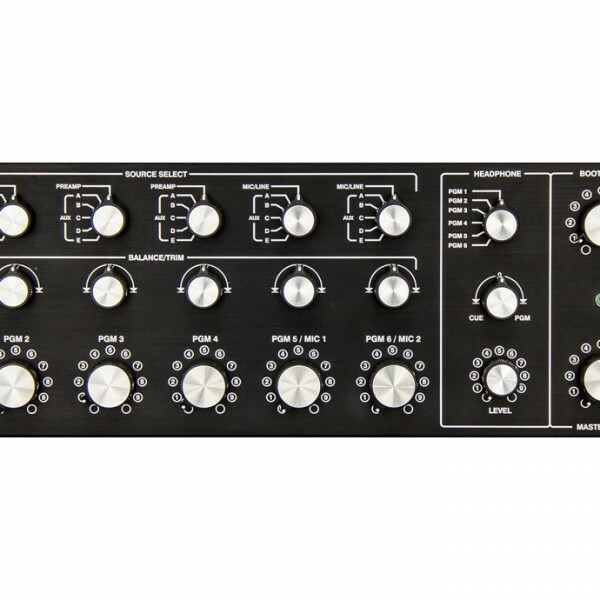 The Loop control allows the DJ to add their choice of effects or processing to the master output, used in conjunction with the EQ-6 the loop feature will take your effect control to another level. 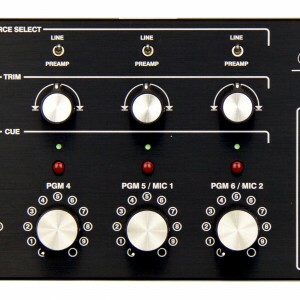 3-band stereo EQ gives perfect overall tonal control of the mix. 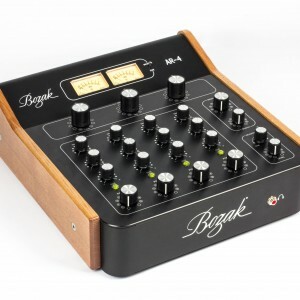 With its cross-over points having been carefully selected to yield a most natural sound and to emphasise the artistry in the musical production, the Bozak’s frequency dividing technology provides superior dynamic response making the control smooth and the individual tone control allows the user to EQ beats, vocals and the high hats. 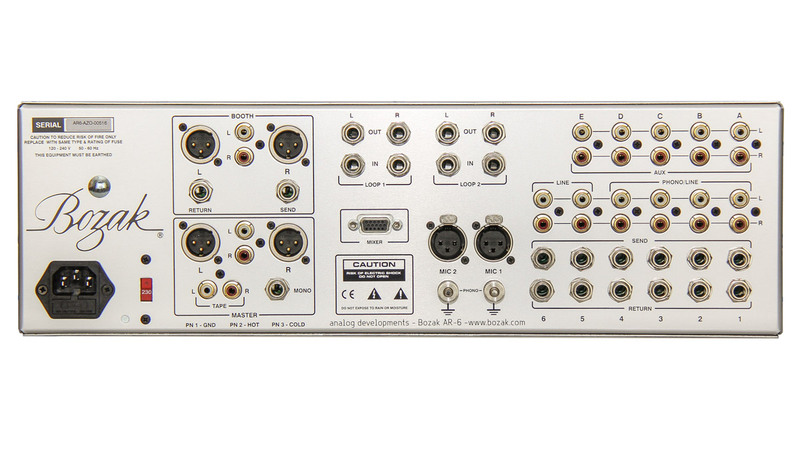 Original Bozak CMA-10-2D Discrete analogue design topology. Massive headroom and un-rivalled gain structure. 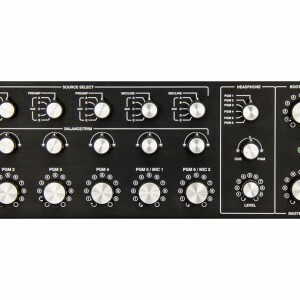 User selectable Balance or Trim (gain) function on each channel. Plug in Mic and Phono cards available for all channels. All channels can be selected for line level. Dedicated Booth and Master controls. Post insert on each channels. 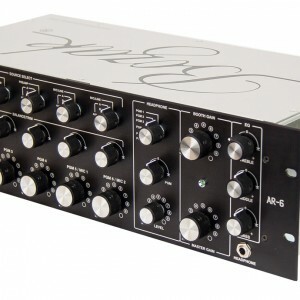 Stereo balanced, un-balanced and mono outputs. Stereo Meter Bridge (SMB) output. Quality Gold RCA and Neutrik XLR connectors. 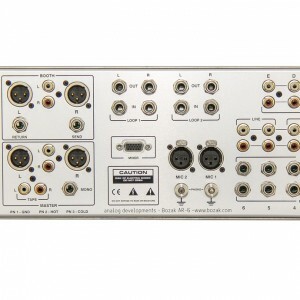 Selectable mains input for worldwide usage. Anodic printed front panel, text will not wear off. Rack Ear bracing for extra strength.